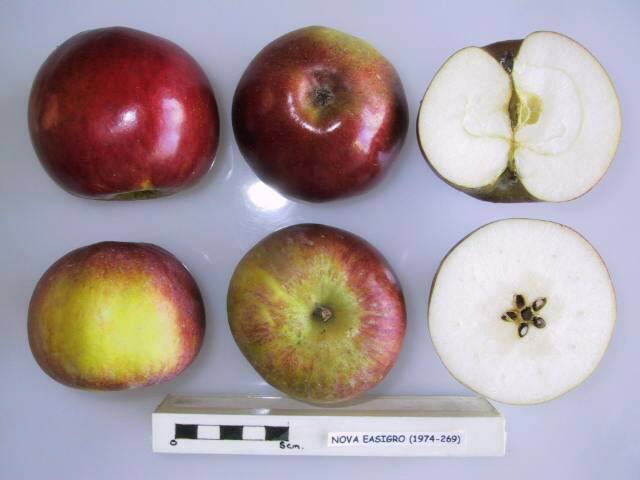 Fruit is large, oblate, 80% red stripe over greeninsh yellow ground. Stores well in cold storage. 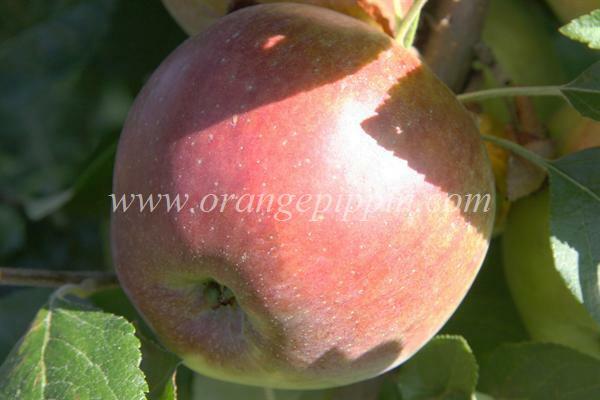 Flesh is snow white, firm, crisp, mildly sweet, slightly juicy. Slightly tough at picking but mellows in storage. Recommended for cooking, salads & eating fresh.